Home → Motorcycle Detailing → Customers Appreciate Products Made in the U.S.A. 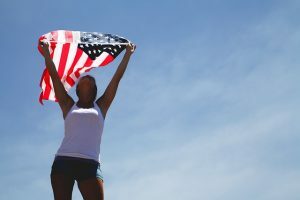 Surveys confirm customers in the United States prefer to purchase products Made in U.S.A. Customers when asked also prefer to purchase their products and services from Veteran-Owned Businesses. Global Impact on local economies was the topic during a recent monthly meeting of our Chamber of Commerce. The meeting facilitator asked, “What recent events come to mind pertaining to Global Impact on our economy”? The first response was “tariffs”. The facilitator followed up this response asking, “How do you think businesses in our community responded when asked how they believe their business would be affected be tariffs”. When the Chamber questioned local businesses, the consensus among the chamber members surveying, believed most businesses would have a negative perspective. The survey confirmed the opposite. All of the businesses surveyed anticipated little or no impact. In fact, businesses were in favor of the tariffs. Their reasoning, material costs are relatively fixed whereas labor costs are much more significant while much more difficult to compete against. When consumers purchase Made in USA products they are supporting our economy. Purchasing products from a small business, is fueling the engine, which drives our economy. When customers support small businesses they are making a difference in their local economy. Supporting a Veteran-Owned business is one way to promote service to our country while thanking those whom have served.